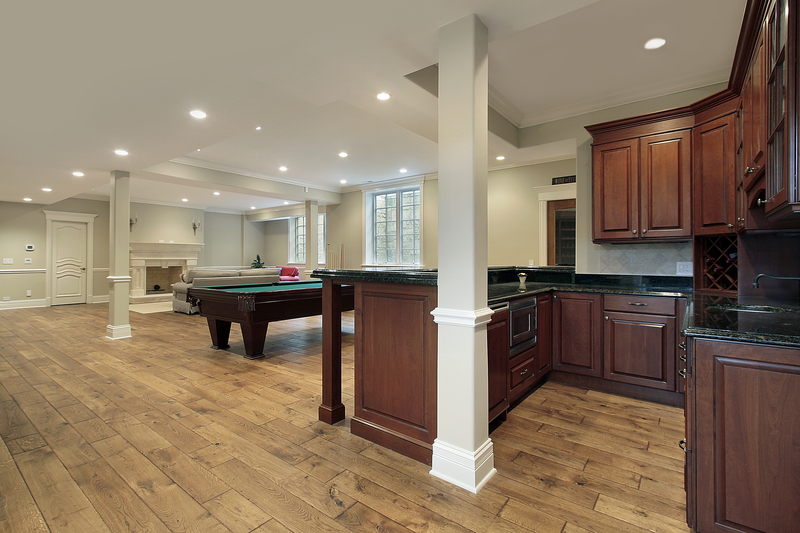 Property owners throughout history have traditionally used wood to create beautiful, long-lasting floors. Come browse through our stunning collections to find the species of your choice that has been formed into a stylish and durable hardwood floor in Ardmore, OK. This flooring is a timeless addition to any room in your house, and with the right maintenance, it will last for many years to come. The popularity of hardwood flooring has made it easy to find products of all sizes, grains, and finishes in our showroom. No longer are homeowners limited by price or region – we stock many different varieties of hardwood suitable for budgets of all sizes. Stop by today to explore our selection and learn why so many area customers turn to us for long-lasting, cost-effective flooring. Not sure which of our gorgeous hardwood floors is right for your home? Just talk to our any of our associates. Our extensive knowledge of flooring materials, as well as our solid selection of guarantees and warranties, makes our showroom an excellent resource. Let us know what you prefer in terms of style, wood type, and price, and we’ll do the rest. Any purchase you make is protected by one of our guarantees. Our Price Protection Guarantee refunds the difference if you find a lower price on the same brand and style product within 30 days of your purchase. We also provide you with a Lifetime Installation Guarantee if there are ever any installation-related issues you experience. It’s easy to see why hardwood remains one of the most, if not the most, popular flooring product for homes and businesses everywhere. For one thing, it’s dynamic. Many different tree species enable manufacturers to create floors that range in color, grain, and texture. Opt for a dark, rich, and reddish cherry, or add softness to any space with cool ash. The choice is yours when you explore our showroom’s selections. Additionally, hardwood is long-lasting. Many people know that hardwood flooring has a reputation for longevity. However, even the most beautiful and sturdy floors won’t last long without proper maintenance. Talk to our showroom team to learn what you can do to protect your new floors. Occasional refinishing is essential to preserving hardwood’s texture, and professional sealing can help keep out harmful moisture. Finally, hardwood is dynamic and versatile. There’s no room in your home or business where it will look out of place. Our showroom carries products designed to suit many different themes and motifs, so you’re sure to find something suitable for your project when you shop with us. We can help you add hardwood floors that complement your bedroom, office, and even your kitchen. Trust your home or business’s beauty and value to a team that cares about your property. Once you’ve settled on new floors, be sure to schedule professional hardwood flooring installation with contractors you can trust. Our installers have the tools and experience needed to lay down any hardwood floor successfully, ensuring it’s ready to stand up to the challenge of daily foot traffic. Your satisfaction is our number one goal. That’s why we want to ensure you protect your investment in your new floors. With our skilled and experience installers, you can enjoy your stunning new floors far into the future. Contact our hardwood flooring showroom to learn more about our products and guarantees. We serve residential and commercial clients in Ardmore, OK, and the surrounding areas.